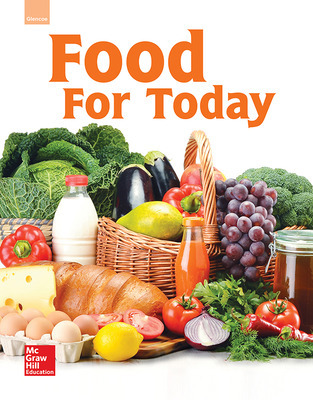 Food for Today provides students with the information and skills they need to make safe and healthful food decisions, plan and prepare meals safely, and appreciate the diversity of foods. It emphasizes the basics of nutrition, consumer skills, food science principles, and lab-based food preparation techniques. Academic Integration (math, science, and English language arts) helps teachers meet Perkins mandates. Students have opportunities to demonstrate a more nuanced understanding of content knowledge by solving academic applications involving food-related subject matter. Cross-curricular activities are integrated throughout the program in features, assessments, and additional activities. Project-Based Learning activities are real-world applications of text concepts. They are rigorous and designed to be personalized by students in ways that make them relevant. They also help students to build relationship skills at home, at school, at work, and in the community. Real-world skills allow the student to think critically and understand that the material in class is relevant outside of the classroom. Easy-to-follow recipes equip students with serving sizes and detailed nutrition analyses per serving. International and local recipes are provided which supply students with a diverse learning and cooking experience. 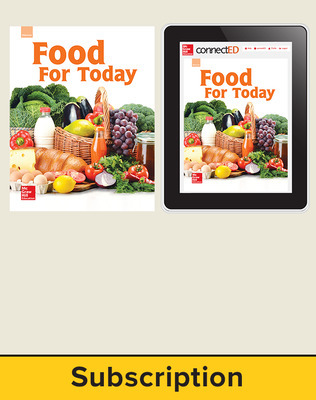 Content updates include new images throughout and changes from MyPyramid to MyPlate as well as food group names and portion recommendations. 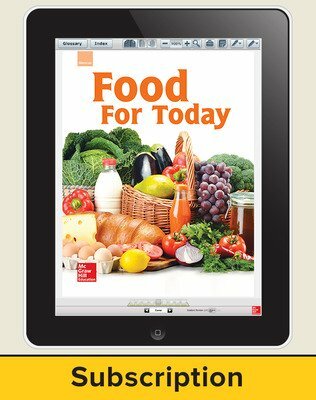 Food for Today © 2016 features online resources on the MHE ConnectED platform empowering teachers to easily teach, manage classroom assignments, and engage students. Teachers can access the student eBook, digital resources, assessment and planning tools in one convenient location. Print teacher editions are available print-on-demand on Create™.